Apex predators kill because they can. 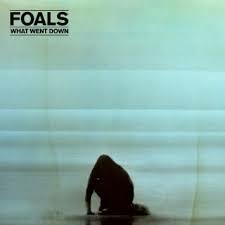 When you put their ferocity into music you’ve got something vicious, like the eponymous track off Foals‘ fourth album What Went Down. But it’s a shame that the drowning sounds on this song don’t translate well within other takes in the album. For this Oxford-based indie rock outfit, their album’s problems include filler (“Birch Tree,” Lonely Hunter,” “Mountain at My Gates”) and a progressively boring final minute crescendo on most tracks. It’s fair that Foals found a balance between ravaging and soothing, but it would’ve been better to see the beast in its final form.